Teamwork is the key to successful design processes. Let’s design together! 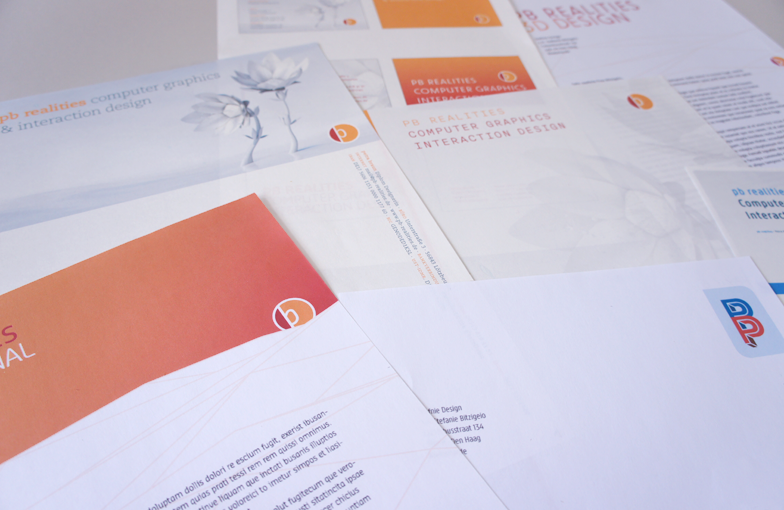 PB-Realities, a Design studio owned by Petra Juhlke and situated in the beautiful Hunsrück region of Germany, asked me to assist her with the design of a new corporate identity. 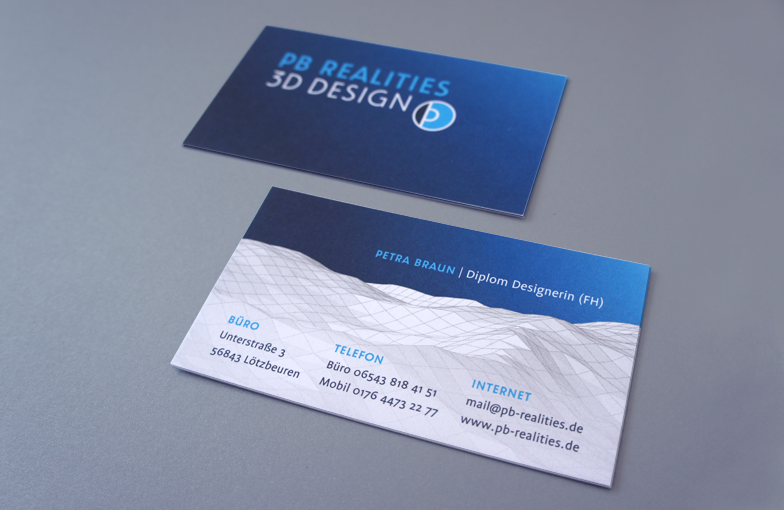 Her specialty is 3D Design. Required was the design of a new image, one that would suitably communicate her highly specialised, quality design capabilities, while demonstrating her superb understanding of technical processes. Since men still dominate the technical industry, the first step was to change her corporate colours from red and orange to blue and cyan. Initially, she wanted to keep her logo, but together we decided to change the font, after I suggested a few fonts that would complement the 3D grid she had provided as a key visual for all her corporate communications. The grid is a black and white landscape that allows many different renderings. It is a flexible grid in which the logo can remain stationary in various positions. She decided that a classical geometric and elegant sans-serif would suit her best as a headline font. Therefore, we chose Oskar in combination with the soft humanist sans-serif Flex for text, both designed by Paul van der Laan. I enjoy working in teams with individuals of different nationalities and professions. It enriches my life, broadening my scope of thinking. I consider it of great importance to meet my clients and develop ideas in close cooperation with them. At your request, I’ll gladly unite with your team!